Lake draw down shows Wheeler Lake lacking the weeds that upper Guntersville lake is so noted for. Wheeler lake, the second largest impoundment in Alabama, makes up for this very little greenery with wood and rock cover lake wide. The lower section of the lake is fed by The Elk River. This huge feeder river is loaded with huge log jams, brush, laying trees and scattered stump rows. A few resident built piers and rock bluffs make up the mouth of this long, winding river where it enters Wheeler lake. 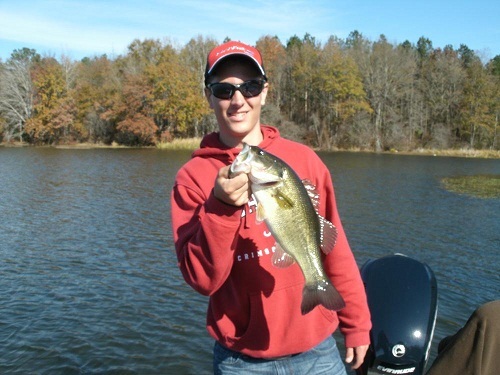 Dropped 4-5 feet for winter can scatter bass that were buried up in aquatic weeds all through summer and early fall. 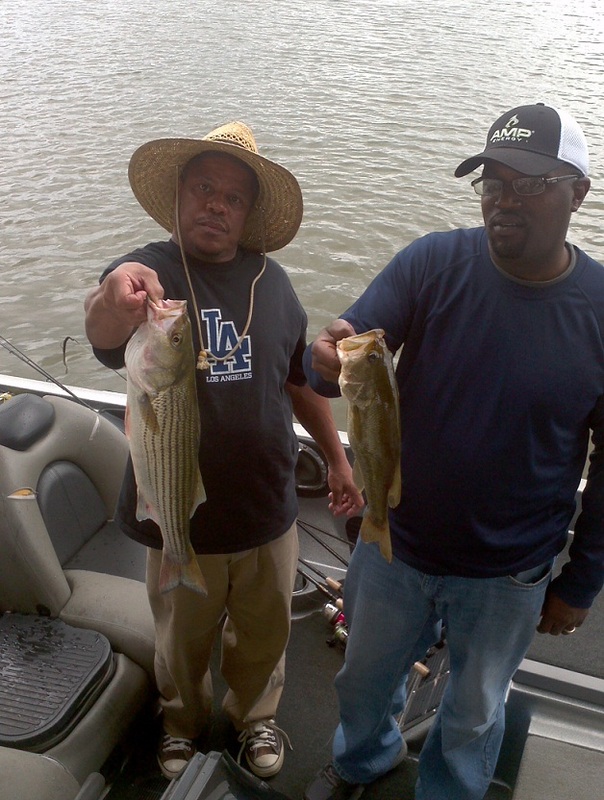 These fish, mostly largemouth bass, relate back to the wood and rock cover that lies near deep water drop-offs. 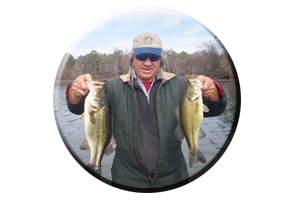 There are some huge largemouth bass that roam shallow water (less than five feet) in search of food, for they still must eat during December, January, February and on into March. Mid lake, many of these largemouth’s have homesteaded the hydrilla and milfoil this area is so noted for, for the duration of summer and throughout the months of fall. This was before December, when the lake has been lowered for winter 4-5 feet and the cold nights of northern Alabama have killed most shallow growing aquatic vegetation. Most bass merely move to the nearest drop-off and cling to whatever wood or rock cover or bottom irregularity they find comfortable. 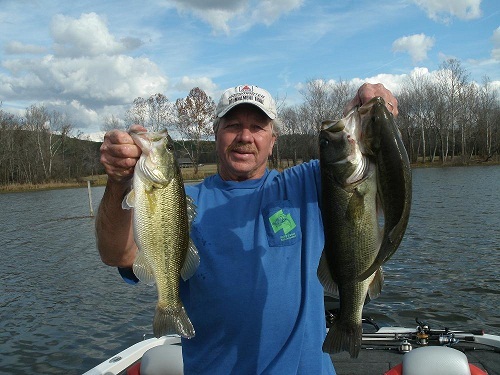 Warming trends throughout the winter months can trigger some fantastic shallow water angling when these largemouth bass come to life with water temperatures in the upper 50′s to low 60′s at times. 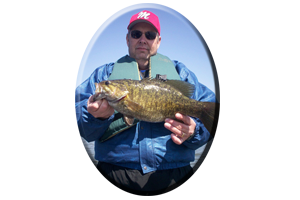 Smallmouth bass are known for being fooled around lower lake points and rock bluffs during winter with lures from top to bottom. Jerkbaits, crankbaits, jigs, spinnerbaits and jigging spoons are just a few of the known lures that are favorites for attracting bites from smallmouths in the trophy-class range. 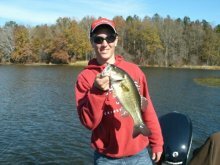 Finesse lures are at their best during winter with very clear water and oftentimes sight-feeding finicky bass. 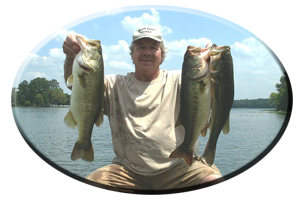 Light line and lures such as grubs, jigs, shad imitations, small worms, crayfish, spinners, crankbaits and mini-sized topwaters can be very enticing to these small-mouthed bass. 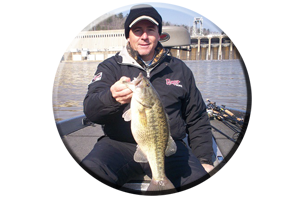 Rock bluffs, secondary ledges, small pebble points, and main lake cover near deep water, are favorite haunts of these hard-fighting brown bass. Check your reels drag, bring a long handled net and sharpen all your hooks, your gonna need em,’ when tackling these hard fighting and tackle testing smallmouth bass of Wheeler Lake. 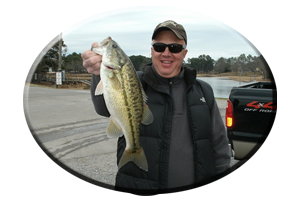 * Or you can call always call on Reeds Guide Service (205) 663-1504 for fishing Wheeler lake or any Alabama lake, year round!